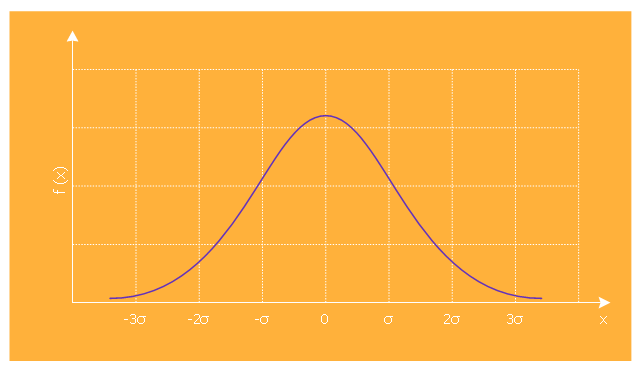 Normal (or Gaussian) distribution (bell curve) graph visualize a continuous probability distribution that is often used as a first approximation to describe real-valued random variables that tend to cluster around a single mean value. 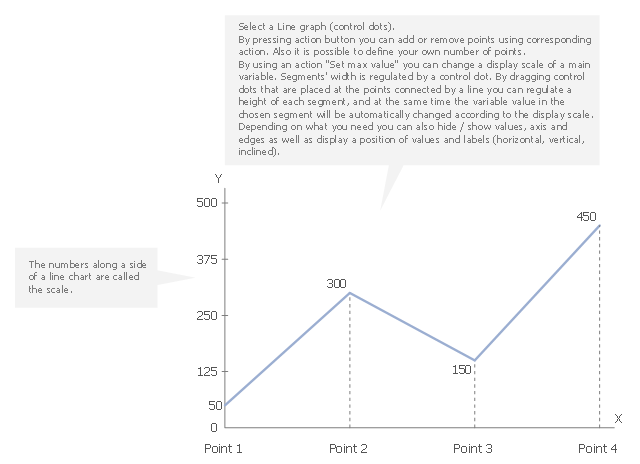 The template "Normal distribution graph" for the ConceptDraw PRO diagramming and vector drawing software is included in the Marketing Diagrams solution from the Marketing area of ConceptDraw Solution Park. 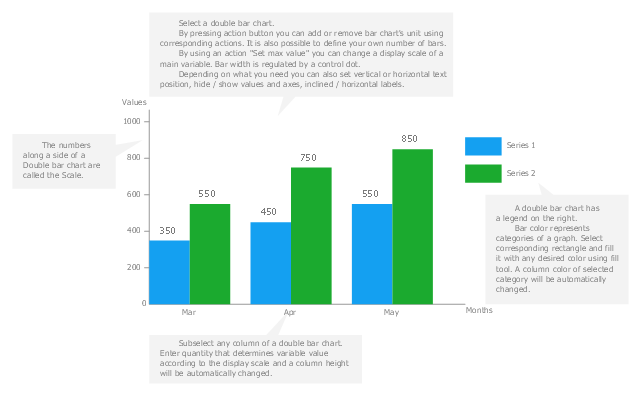 Use this vertical bar chart template to design your column charts in the ConceptDraw PRO diagramming and vector drawing software. 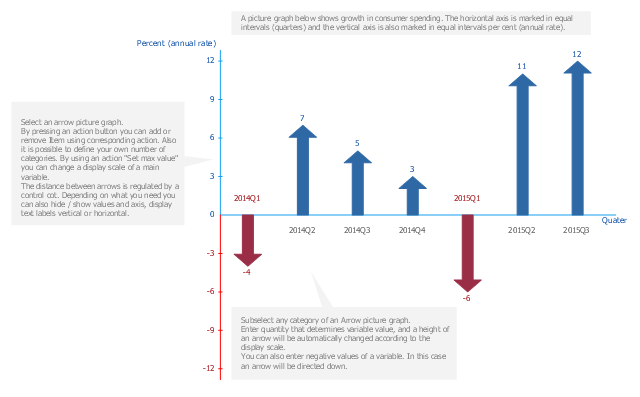 Use this template to design your scatter charts. 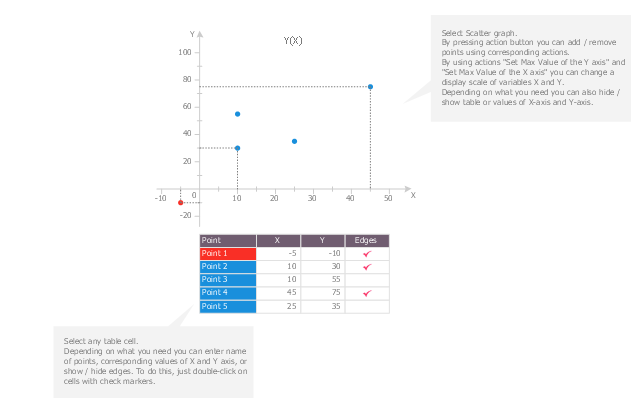 "A scatter plot, scatterplot, or scattergraph is a type of mathematical diagram using Cartesian coordinates to display values for two variables for a set of data. 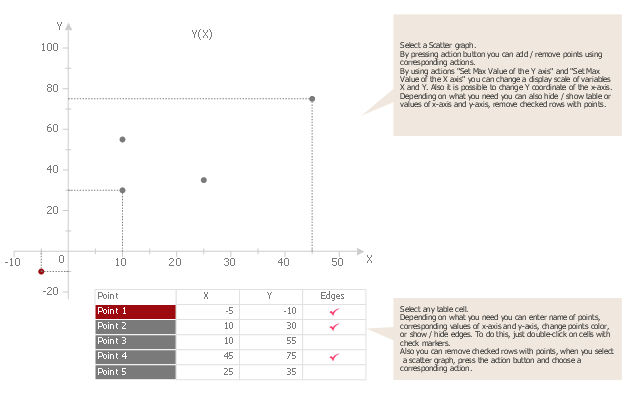 Use this scatter plot template to show values for two variables for your data series in ConceptDraw PRO diagramming and vector drawing software. 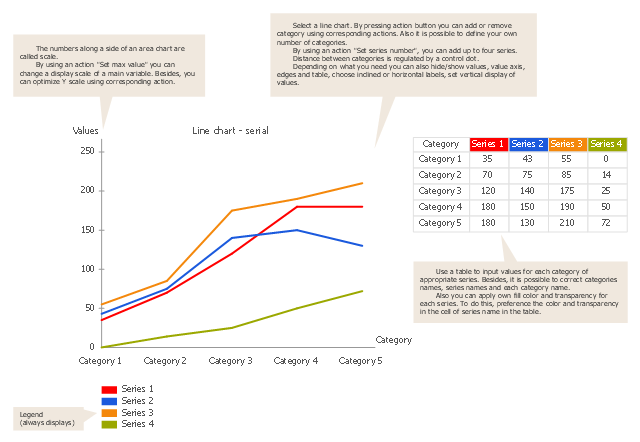 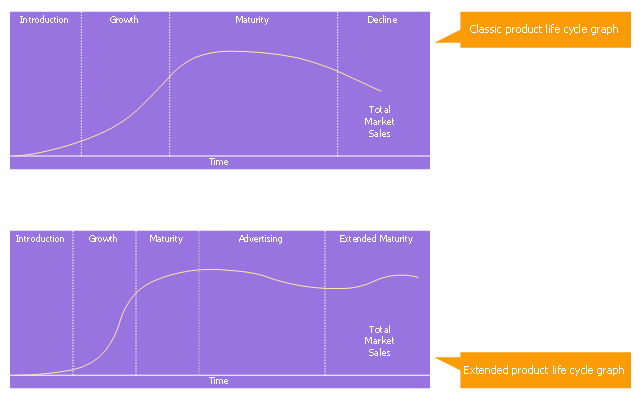 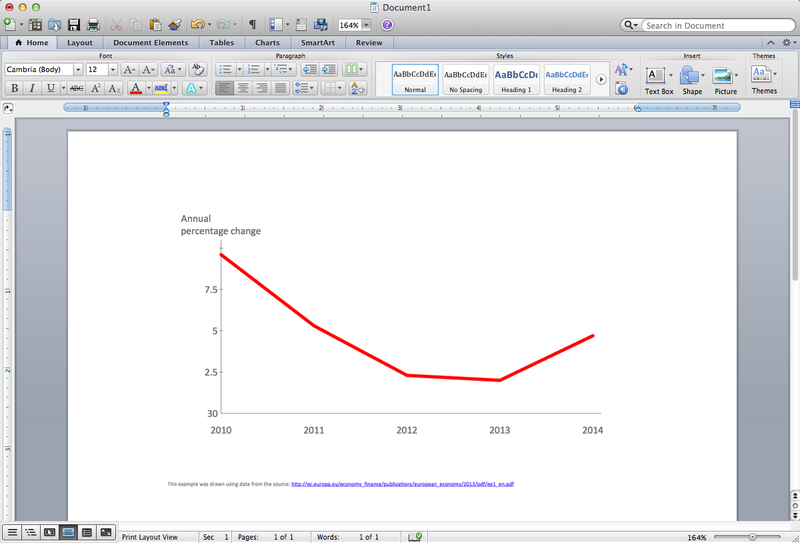 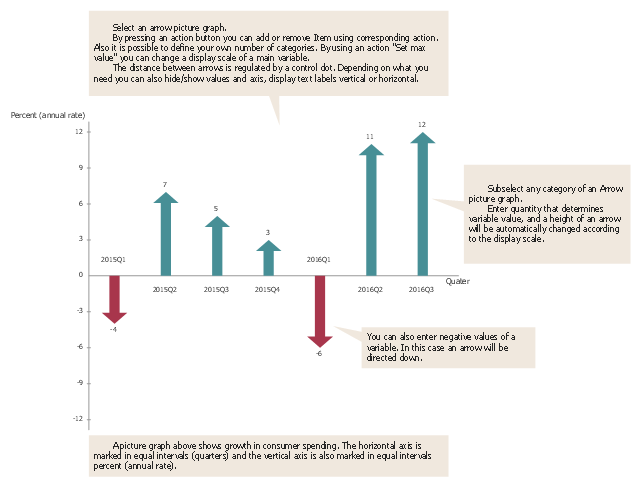 Use this template to design your line graphs.